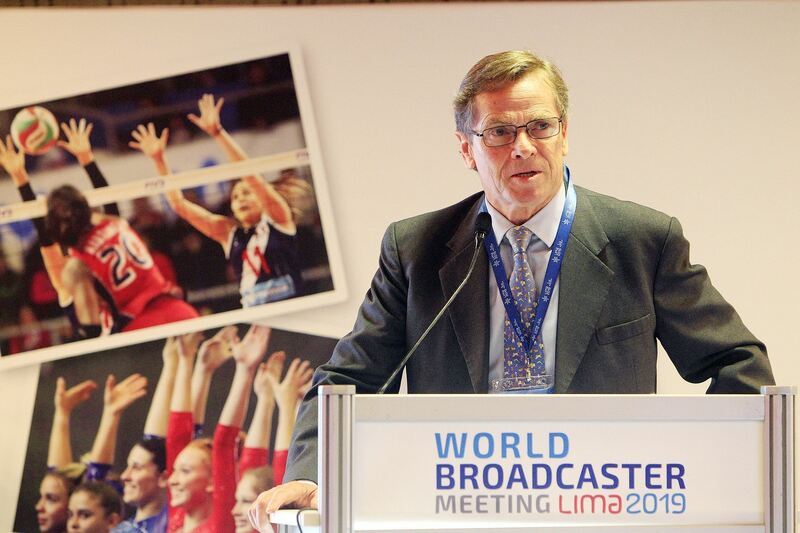 Pan Am Games President: "We are working to make Lima 2019 a success"
19:10 | Lima, Feb. 6. The Lima 2019 Pan American and Parapan American Games are less than 170 days away, and organizers are working to make the most important multi-sport event ever held in Peru a success, Lima 2019 President Carlos Neuhaus affirmed. "As the host country, we have assumed a responsibility that we are sure we will meet: We are going to extend a big welcome to our friends from all over the continent," he stated. Neuhaus said the Games will be inaugurated on July 26 and will live long in the sporting memory of the Americas thanks to its outstanding organization. "Therefore, our strengths are geared towards fulfilling this State commitment," he added. Works at National Sports Village (VIDENA), Andres Avelino Caceres Sports Complex in Villa Maria del Triunfo, Pan American and Parapan American Village, and Callao Regional Sports Village will be completed in March. For example, the Pan American and Parapan American Village was 95% completed six months ahead of the competition's kick off, while Andres Avelino Caceres Sports Complex in Villa Maria del Triunfo reached 80% completion. Hosting the Games is important for Peru, and not only on the sports field, as it will generate S/5.2 billion (about US$1.56 billion) in economic impact, which will account for 0.7% of the country's Gross Domestic Product (GDP). This will be reflected in the labor aspect and in the recruitment of people. It must be noted that half a million direct and indirect jobs have been created since the project's inception. The Games will put our country's millenary culture in the spotlight. The Pan American torch relay will begin in the citadel of Machu Picchu (Cusco) and —following the Qhapaq Ñan (Inca Road System) route— will go through the coast, the highlands, and the rainforest, while the Parapan American torch will pass through the capital's huacas, promoting integration and Peruvians’ participation at the Games. "This will be an opportunity to display our nation's great cultural heritage —as the cradle of one of the most important civilizations on earth— to 400 million people from all over the globe," the Lima 2019 President said. In addition, Peruvian gastronomy will play an important role as all cultures in the Americas meet here. Peruvians are preparing for this international event getting into Lima 2019 mode. As is customary, they will provide a warm welcome to visitors from all across the continent and the world, who will feel at home while in Peru. "I have no doubt about that. Lima is prepared to welcome you. We all play here!" he concluded.